Rashad Jennings, former record-setting NFL running back, “Dancing with the Stars” champion, actor and philanthropist, credits his success to one simple attribute: a strong work ethic. 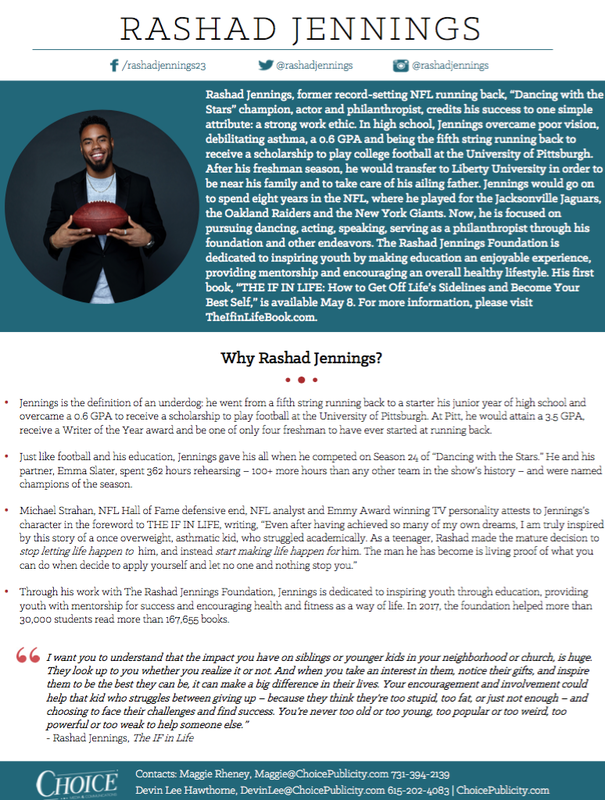 In high school, Jennings overcame poor vision, debilitating asthma, a 0.6 GPA and being the fifth string running back to receive a scholarship to play college football at the University of Pittsburgh. After his freshman season, he would transfer to Liberty University in order to be near his family and to take care of his ailing father. Jennings would go on to spend eight years in the NFL, where he played for the Jacksonville Jaguars, the Oakland Raiders and the New York Giants. Now, he is focused on pursuing dancing, acting, speaking, serving as a philanthropist through his foundation and other endeavors. 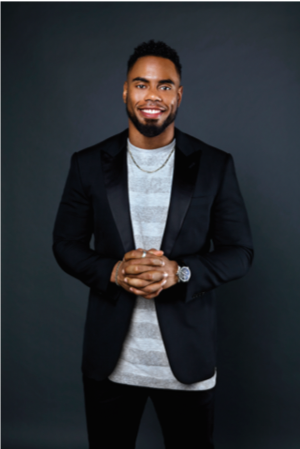 The Rashad Jennings Foundation is dedicated to inspiring youth by making education an enjoyable experience, providing mentorship and encouraging an overall healthy lifestyle. His first book, “THE IF IN LIFE: How to Get Off Life’s Sidelines and Become Your Best Self,” is available May 8. 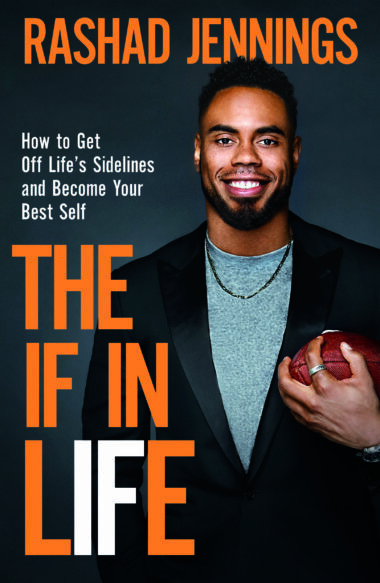 For more information, please visit TheIfinLifeBook.com. Dancing With the Stars: Athletes Season 26 Episode 2 Review: Did Your Fave Go Home? Find Out Which Mirrorball Champ Will Be a Guest Judge on "DWTS: Athletes"